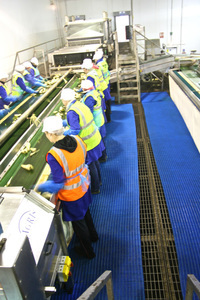 IT GOES without saying that floor safety is of paramount importance in all premises. When we talk about ‘floor level safety’, we are of course talking about all areas that are accessed by personnel, contractors or the public, which depending on the type of building may also extend to external walkways, stairs, ramps, roofs, loading and unloading bays. Compliance with relevant legislation is essential, as is regular floor inspection, cleaning and maintenance to ensure that any spillage, whether that is liquid or dry debris, is cleared up and that walkways are free from trip hazards such as trailing wires or cables, obstacles or uneven floor surfaces. Employees should be equipped with, or given guidance on, appropriate footwear to suit the environment in which they work. Work stations should be well-designed in a layout conducive to safe working. The floor surface, or floor covering, should be ‘fit-for-purpose’ and suitable for its location especially if it is to offer slip-resistance, or any other safety-critical factor. Safety flooring in today’s working society, is not just about slip and trip prevention; it also extends to comfort and wellbeing. 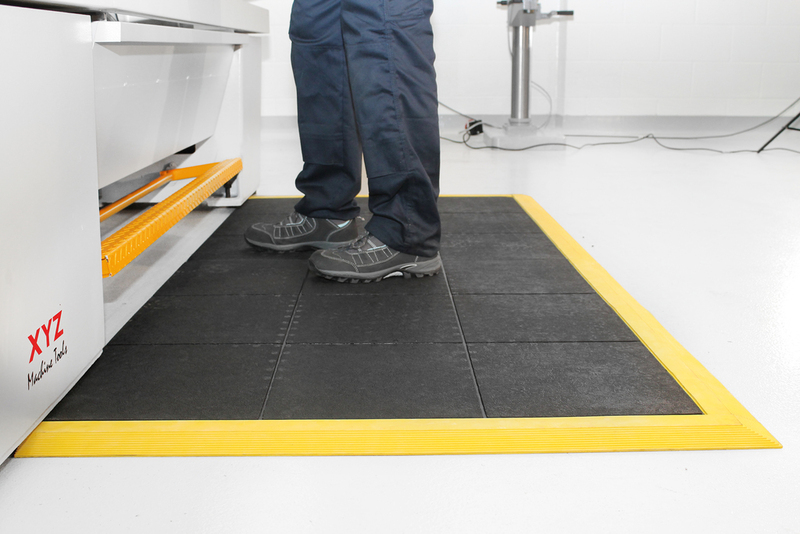 For those whose occupations require prolonged standing, this can mean the provision of anti-fatigue matting to help reduce the onset of physical fatigue and muscular strain as a consequence of standing on hard floor surfaces. Tiredness commonly leads to lapses in concentration, which can be the catalyst for other types of serious accidents in the workplace, even fatalities. Having a documented procedure to adhere to, and a strategy for team communication, is a solid foundation for adopting a ‘culture of underfoot safety’, and this can help to prevent many slip and trip related accidents. Rewarding those who show initiative can be effective in gaining engagement and a key driver for best practice. Naturally, underfoot safety starts with the floor itself which could be a screed or composite material, or a covering such as rubber tiles or safety flooring/matting, and this will inevitably vary according to the different areas within a building. Any individual with a responsibility for health and safety, or premises and facilities management, today has an array of choice when it comes to choosing workplace safety flooring and matting. While that is without doubt a good thing, it also means that those with ultimate responsibility for specifying such products are very often bamboozled by choice. And making the right decision is imperative if the flooring specified is going to perform its task effectively, and be able to withstand the type of environment it is being used in. This is where having the technical product support of a manufacturer or a trained distributor can be very useful. The provision of safety matting or flooring is an investment. While you can’t put a price on human safety, customers do want a return on their investment and that means a product that is going to meet all their expectations in terms of safety performance and durability. As a manufacturer, when required we will accompany our distributors on site visits to make suitable recommendations to end-user customers. Over the years, I think we have seen it all from offcuts of carpet on a factory floor, to sheets of plywood or soggy cardboard! But since safety matting has become more ‘commonplace’, we have encountered on many occasions the problem of customers ‘self-specifying’ without any technical guidance in the belief that one ‘black rubber mat’ is going to perform in just the same way as another ‘black rubber mat’. This is by no means a criticism and is perhaps a natural conclusion to jump to, without an insight into the characteristics of certain matting and flooring materials, and the overall design and coverage of flooring products. Making the right decision, not only means that a product is likely to last longer; but more importantly, also means that it is likely to be a safer floor surface for that environment. It’s one of the reasons why we developed an App for mobile phones and tablets as a handy selection tool, to help distributors and end-users make informed decisions during the specification/purchase stage. A little background knowledge can make a big difference. We have highlighted some common workplace scenarios, along with some examples of the type of flooring or matting that typically is better suited to these areas. The point of entry to a building is very often a hotbed for slip hazards as people walk in dirt, debris and moisture from outside. Having adequate lengths of entrance matting, whether that is custom made for recessed matwells, or loose lay floor mats is essential. 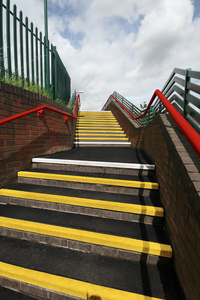 The creation of zoned entrances is the ‘belt and braces’ approach to floor safety. It allows for the provision of different entrance mats, that can each perform a task when it comes to scraping dirt and wiping moisture. Ideally, a mat made from a coarser material (polypropylene for example) is best in zone one; the first point of entry followed by secondary matting (such as nylon) that has a softer and more absorbent pile to wipe away moisture. This can be enhanced further with carpet runners if space permits. The length and type of matting does depend on the average footfall, but we always recommend a minimum walk-off length of 2.1 metres in line with BS 7953. The longer the walk-off length, the more effective it will be. Areas prone to oil, grease or chemical spillage should always be equipped with safety matting to reduce the risk of slipping. In this instance, the priority is for the spilt liquid to drain through the mat, therefore leaving the standing surface dry and safe. The problem is that some industrial matting materials are prone to degradation when they come into contact with such liquids. If using safety matting in this type of environment, opt for one that has nitrile added to the rubber compound as this provides resistance to oils, chemicals and grease which should lead to a longer lifespan. Welding bays require a flooring or safety matting solution that has a flame-retardant surface and conforms to the recognised fire reaction tests, eg. BS EN 13501:1, of which there are various classifications, split into three parts. DIN 4102 is another flammability test more commonly used in Europe. If any doubt, ask the manufacturer about the technical specification and establish what the flammability and combustibility characteristics are, as this is obviously a safety-critical issue. Very often these areas require employees to stand for prolonged periods of time. Their job may also require regular turning. While there is a wide choice of flooring products available, the provision of anti-fatigue matting can be beneficial to comfort, wellbeing and productivity. Anti-fatigue mats, by nature, have a more cushioned surface – they are very often manufactured from closed cell PVC foam, and the choice available in the UK has become extensive. Durability is a factor so it’s good advice to invest wisely. If turning is involved, consider a product that has a resilient top surface – some mats have multiple layers in their construction and generally offer greater resistance to wear and tear. High Voltage working environments, such as open switchboards, require specialist matting to protect operatives against electrical shocks. Safety matting is tested to different volts and rated accordingly. The standard in the UK is BS EN 61111:2009 with different ‘classes’ for different ‘working voltages’. It is important not to confuse this with environments that require ‘static-dissipative’ matting and accessories, known as ESD matting. Hygiene and accident prevention are top priorities in any area where food is being prepared or served. There are specific products for this type of environment, some of which have anti-microbial properties. Grease and cooking oils can be dangerous, and nitrile/rubber mats are an especially good material for this type of environment. Not all kitchen areas use mats, but those that do should opt for a design that offers good underfoot grip and drainage for liquid spillage, while being easy to clean too. While it is easy to focus on internal fittings and floor safety, the ‘great outdoors’ shouldn’t be ignored when it comes to reducing the risk of slips. 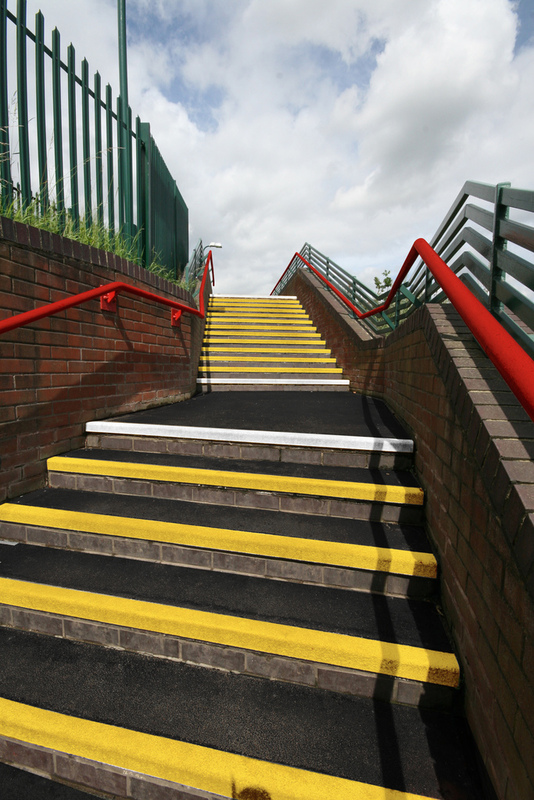 The safety of external stairs and walkways can be enhanced with anti-slip stair treads and nosing; while ramps and walkways can be made safer through the installation of anti-slip sheeting. Glass reinforced plastic (GRP) is commonly used in these types of areas, with a grit surface that can withstand all extremes of weather.